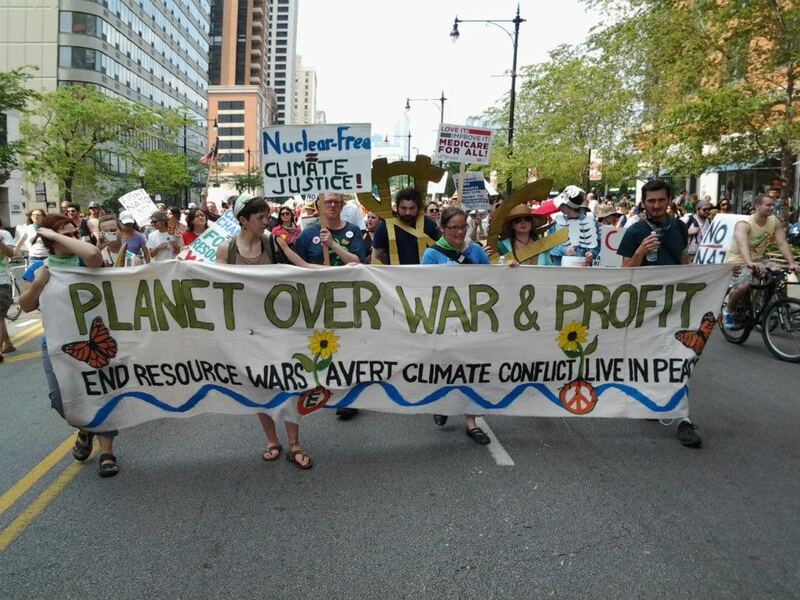 Check out our youtube channel and the photos below to learn more about our past actions. 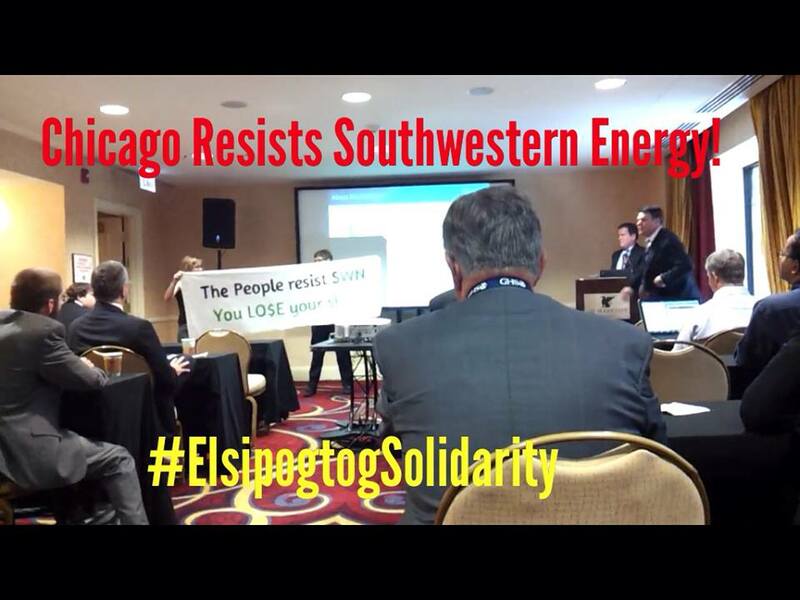 June 2014–Global Hunter Securities 100 conference presentation by Southwestern Energy interrupted to protest their attempts to frack unceded Elsipogtog land. 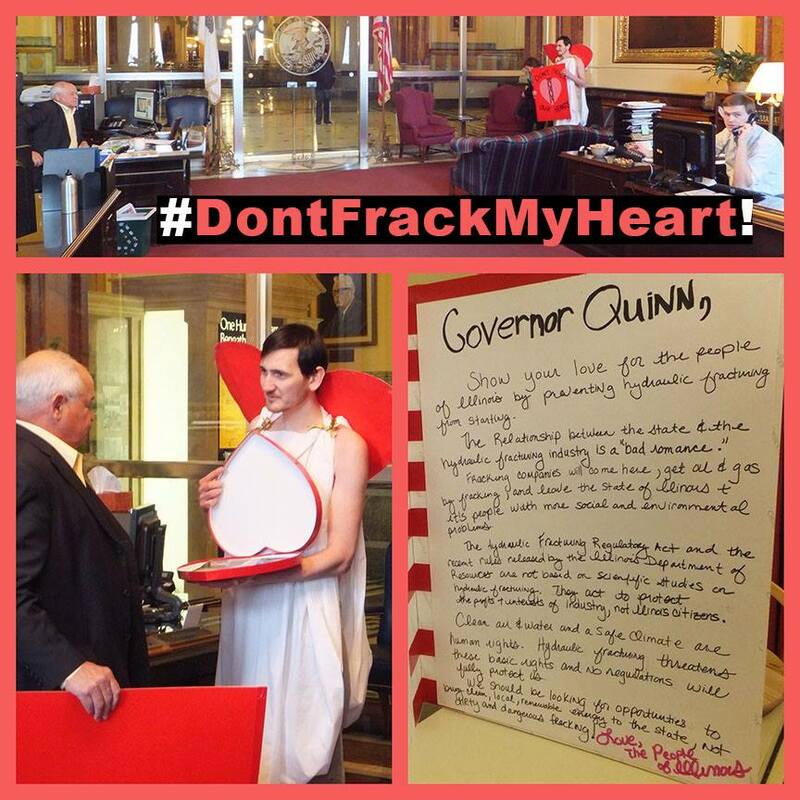 February 2014–“Cupid” delivers a giant card and a read heart shaped box filled with scientific papers on the dangers of hydraulic fracturing to Gov. 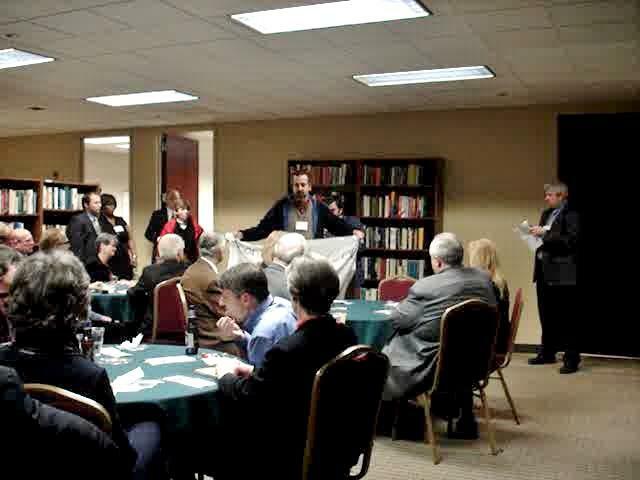 Quinn’s office in Springfield, IL. 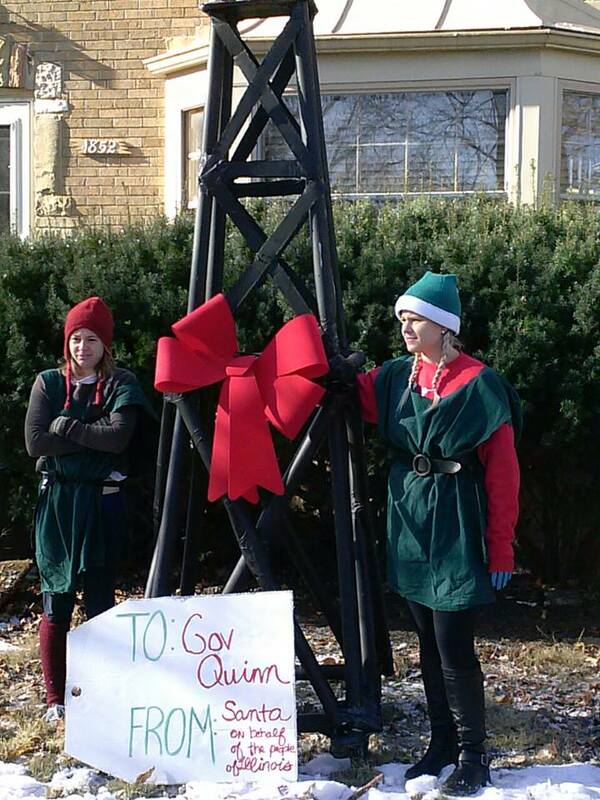 December 2013–Concerned citizens dressed as elves deliver an oil derrick to Gov. 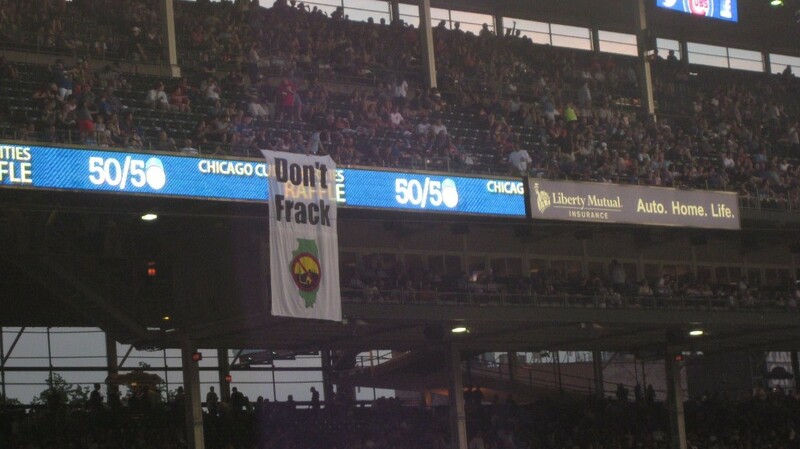 Pat Quinn’s home with a red bow on it to protest his allowing hydraulic fracturing in the state of Illinois. 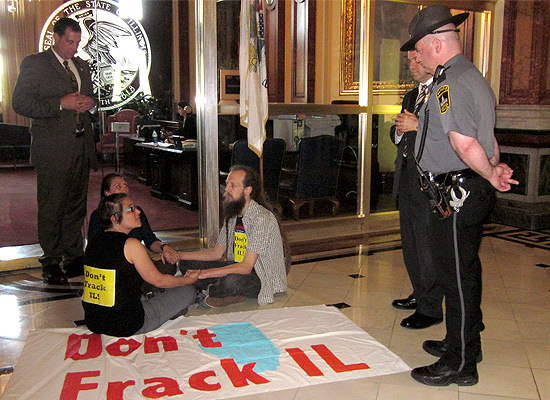 May 2013–Residents from all across Illinois, come to the state capitol and block the doors to Governor Quinn’s office to protest his support of regulated hydraulic fracturing in the state of Illinois. 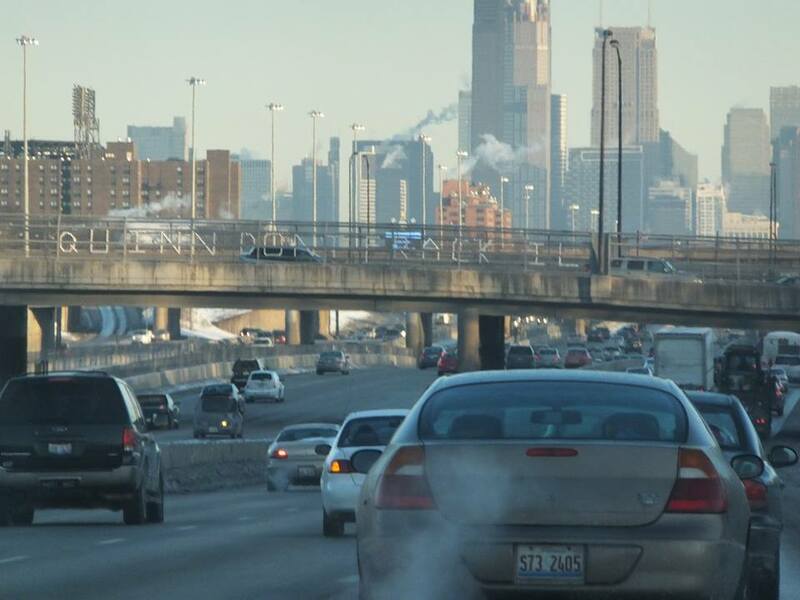 Over the course of a week, five people were arrested. 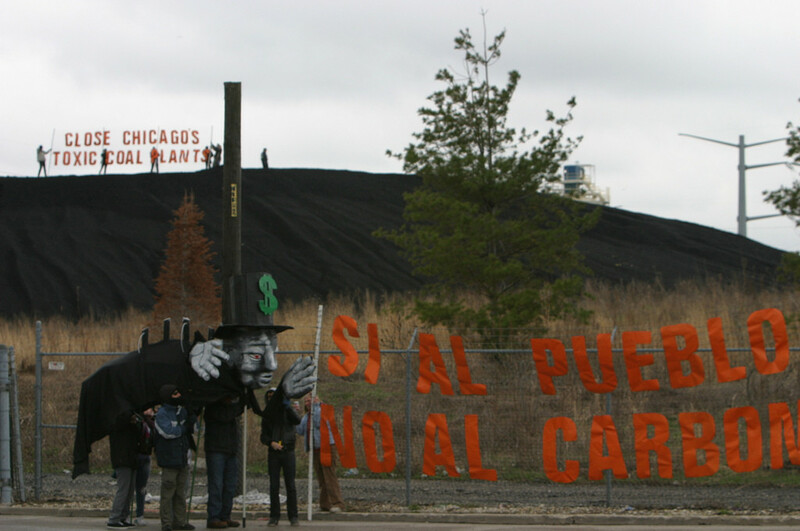 April 2011–Six people scale the coal pile at the Crawford Coal Plant and call for it’s closure. All six were arrested.